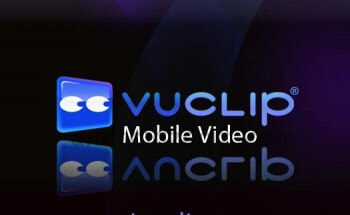 MUMBAI: With 2012 coming to a close, Vuclip has announced the results of its ‘Vuclip Icons of the Year 2012’ mobile survey across categories like bollywood, hollywood, business, sports, women and politics. Renowned music personalities like AR Rahman, Sonu Niigaam and Sunidhi Chauhan have emerged as the most popular icons in various music categories. Music maestro AR Rahman bagged 70 per cent votes to attain the most admired bollywood music composer tag, while singer Sonu Niigaam bagged the title of most admired playback singer with a high number of votes as compared to KK, Mohit Chauhan, Shaan and Sukhwinder Singh. Amongst the female playback singers, songstress Sunidhi Chauhan emerged most popular after a strong battle with Shreya Ghoshal. In the international music scene, paparazzi queen Lady Gaga bagged the most admired international female singer recognition, while American singer-songwriter Bruno Mars attained the most admired international male singer for 2012. The survey also witnessed Amitabh Bachchan emerge as most admired Bollywood actor with 43 per cent votes, Sridevi emerged as the most admired actress and ace filmmaker Aditya Chopra was chosen as the most admired Bollywood filmmaker. In the Hollywood movie space, Angelia Jolie was the most admired actress, while Johhny Depp was voted the hottest Hollywood actor of 2012. Ratan Tata was India’s most admired business icon with 53 per cent votes while the politics category was ruled by Rahul Gandhi with 70 per cent of votes. Badminton player Saina Nehwal became the 2012 Leadership Icon in sports category with 42 per cent votes and Apollo Hospitals’ managing director Dr Preetha Reddy was voted as the most admired woman leader in 2012. The survey served in three parts was delivered through Vuclip’s mobile site for duration of up to a week each, covered leading personalities from each of the respective categories. More than 100,000 responses were received for these surveys and around 65 per cent of all respondents were in the age group of 18-35 years, representing the youth population.